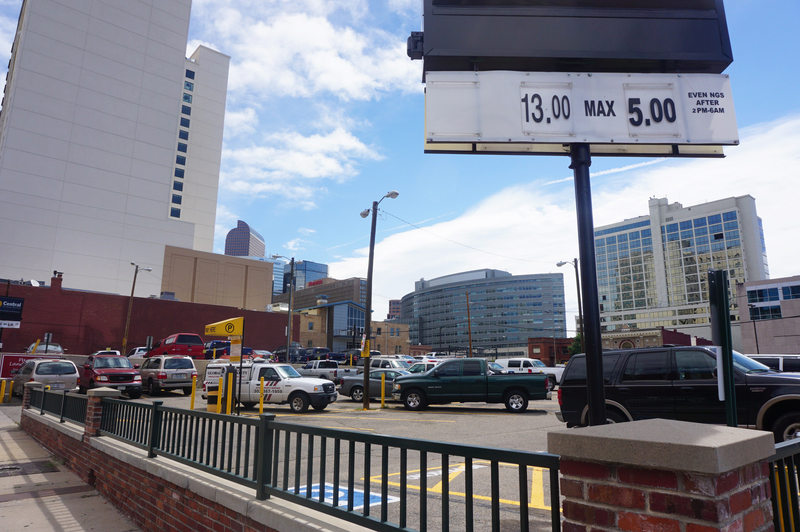 A Central Business District parking lot eyed as a future hotel site has changed hands. Iowa-based Hawkeye Hotels on Tuesday purchased the half-acre corner parking lot at 1320 Glenarm Place for $7.1 million, according to county records. That works out to $324.57 a square foot. A Hawkeye Hotels spokeswoman said in an email that the company plans to build a dual-brand hotel, consisting of a Fairfield Inn & Suites and TownePlace Suites. Both brands are franchised by Maryland-based Marriott International. The spokeswoman said the company is still in the design phase, but the hotel likely will be 12 stories, with more than 300 rooms. Hawkeye hopes to break ground in the second quarter. Hawkeye owns dozens of hotels in the eastern two-thirds of the county, according to its website. The company also hopes to break ground in the second quarter on two other hotels in the Denver area: Fairfield Inn & Suites Denver Airport at Gateway Park and a Home2 Suites/Hampton Inn at the corner of Peoria Street and 25th Avenue in Aurora. The parking lot in the Central Business District was sold by Maryland-based Choice Hotels, which bought it in August 2015 for $7 million, according to records. At the time, a Choice spokesman said a Cambria Hotel & Suites was planned for the site. Choice did not respond to a request for comment on Wednesday. The company owns multiple hotel brands, and said on its website that it franchises more than 6,900 hotels in more than 40 countries. The parking lot is next to the Denver Press Club, across from the Denver Athletic Club and on the same block as a 21-story Hyatt hotel. A block away, Englewood-based hotelier Stonebridge is looking to turn the former Emily Griffith vocational school at 1250 Welton St. into a 250-room hotel.